It has been 19 years since Tom Cruise debuted as Ethan Hunt in the very first Mission: Impossible film, and with every passing sequel the franchise is still able to uphold the approach and quality that made fans fall in love with it in the first place. No matter what director is directing it, there seems to be a consistent style and progression to it that allows the series to approach new heights and success. For Mission: Impossible-Rogue Nation, Tom Cruise is teaming up with his Jack Reacher director, Christopher McQuarrie, and the two are able to create one of the most memorable additions to this series. Mission: Impossible-Rogue Nation follows Ethan Hunt (Cruise) as he is once again determined to take on another impossible mission. After learning that the IMF (Impossible Mission Force) is getting shut down, Hunt goes rogue in order to take out the mysterious Syndicate before it takes out him and his remaining team. Along the way, Hunt meets possible double-agent Ilsa (Rebecca Ferguson) and the two form an unlikely friendship that could prove costly for Hunt and his team. 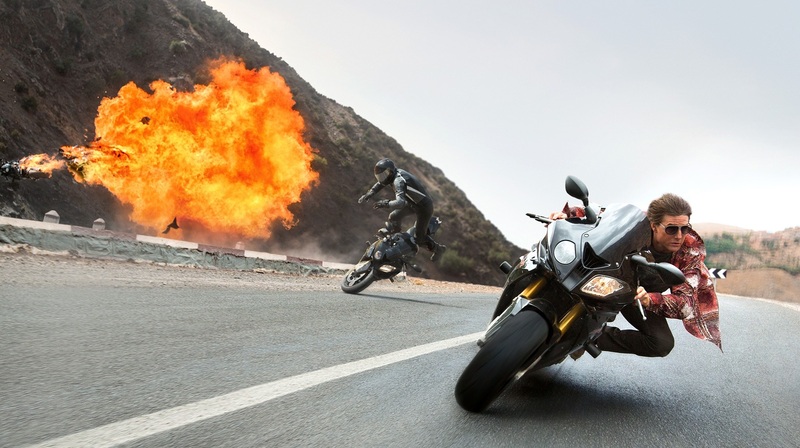 Mission: Impossible-Rogue Nation is one of the most fun movie experiences of the year. It has everything one would look for in a summer blockbuster movie, and more importantly it has all of the elements that makes this one of the best installments in the Mission: Impossible series. Most notably, when one thinks about this series one thinks about the many different death-defying stunts and excellent action scenes that Tom Cruise has been apart of. Thankfully for all fans, director and screenwriter, Christopher McQuarrie, delivers the goods. The best element of this installment are the many well-crafted, jaw-dropping action sequences. McQuarrie stages some of the best action scenes that one will see in any given year. Each one is bolder than the other, and they all complement one another to create a thrilling joy ride that is as satisfying as it is impressive. The excitement level never wanes and its just pure fun from start to finish. Along for the ride once again, is Tom Cruise, who continues to prove that he is one of the top action stars that we have going today. He is so comfortable in the role of Ethan Hunt, but still treats the character as if it were a new role. In other words, Cruise definitely could sleepwalk in this role, but he doesn’t. Each of his performances as Hunt seems genuine and this is one of the main reasons why the Mission: Impossible series continues to be extremely fun and fresh. He makes everything seem so seamless. One minute he can be involved in a comedy bit and the next he is on top of a plane that is taking off, but no matter what he does he is always showing off how committed he is in creating a good time at the theaters. Accompanying Cruise are some familiar faces that include: Simon Pegg, Jeremy Renner, and Ving Rhames, and they are utilized in the best manner possible. More specifically, Pegg is once again a riot and the perfect foil for Cruise. However, the biggest revelation is the newest member of the series- Rebecca Ferguson. She superbly plays the frenemy role to Cruise and it creates a welcoming dynamic. Ferguson’s performance is definitely memorable, and she is at the heart of some of the best scenes and action sequences that if they do continue this series they must include her. If there is a slight downfall, it might be the convoluted plot that sometimes follows the old action formula to closely. However no matter how formulaic the movie might feel at times, McQuarrie is able to film in such a manner that makes everything feel fresh again. Even though you might know what is coming next, McQuarrie still toys with the audience in such a way that the experience feels new again. Furthermore, McQuarrie is able to craft some great, tense scenes that keep you fully invested into the characters and the situations they are in. 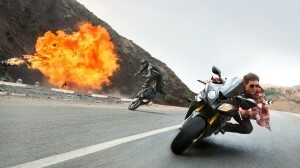 It is a smart addition the the Mission: Impossible series and one that is self-aware and confident in what it is doing. Mission: Impossible-Rogue Nation is a summer popcorn movie at its finest. It has thrilling action, the perfect amount of laughs, and enough twists to keep audiences on their toes. Other movie franchises should take note because this is how you continue a franchise. Unlike the other sequels we have seen this year, M:I-Rogue Nation will leave you craving for more films. The cast includes: Tom Cruise (Edge of Tomorrow), Simon Pegg (Shaun of the Dead), Rebecca Ferguson (Hercules), Jeremy Renner (American Hustle), and Alec Baldwin (Still Alice). It was written and directed by Christopher McQuarrie (Jack Reacher).